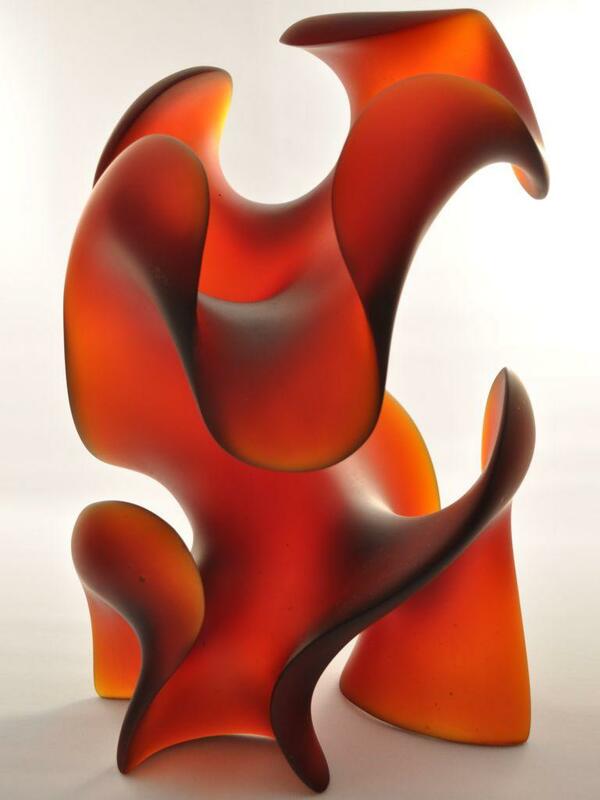 Mystic Light was my third adventure into art glass sculpture…pushing the boundaries of the material and my foundry. Engineering plays a central role in my designs. Not very romantic, I know, but the undulating and double back curves are planned engineering elements designed to support things like cantilevers. There was a “aha!” moment with this piece. Sculpting wood (and stone) is a “once through” process. Once the material is removed, it is gone for good. 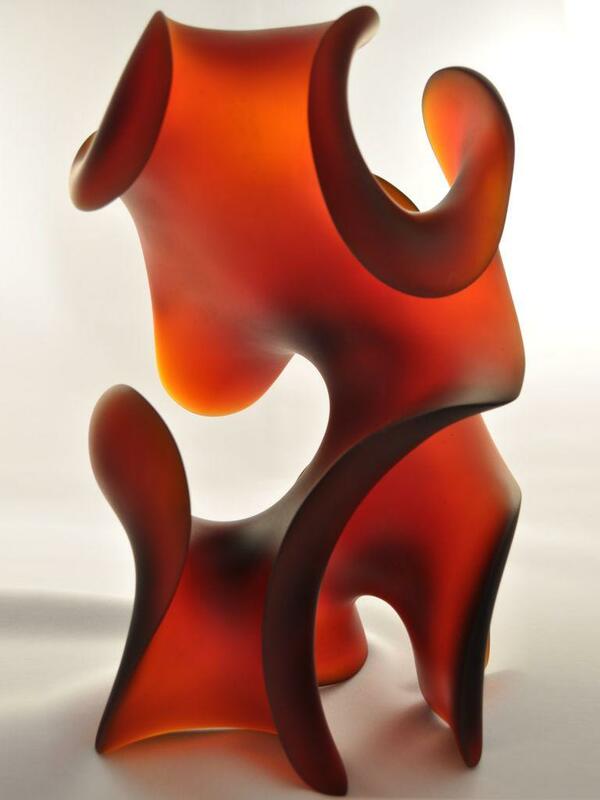 This had been my way of working for 40 years – and it continued through my first two art glass sculptures. Then came the “aha!” “V8” moment. With sculpting in wax, you can always put it back on! Sounds trivial now, but this discovery and realization freed up my creative realm. There is no risk in trying out ideas. If it doesn’t look and feel good, replace the wax and do something different. The piece was sold by Traver Gallery, Seattle, the first glass gallery to take a chance on this old upstart sculptor and represent my cross-over from wood to glass art. I’ll be forever grateful.